Zadar, a town of 3000 years of history, will seduce its visitors with its culture heritage of stone buildings and walls in the town centre, and they will be fascinated by modern installations with visual and audio effects on Zadar promenade. However, the visitors should not miss "classical" natural beauties of its surroundings. One of them is the spring of Una river. 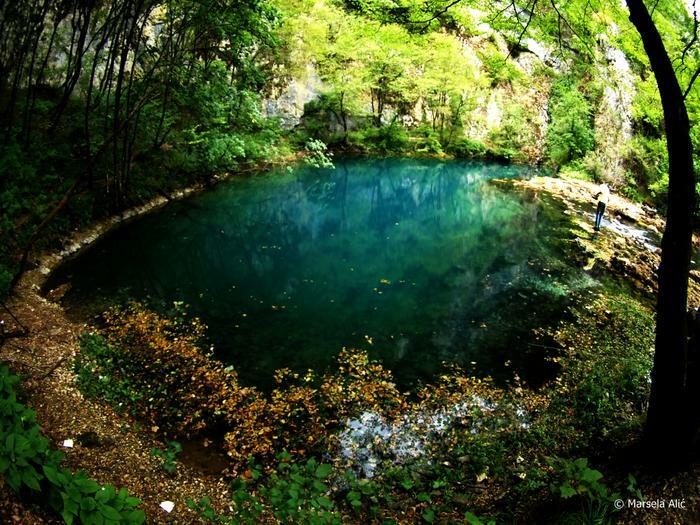 It is only 100 km away from Zadar, and its blue and green landscape will reward the visitors with unsurpassed beauty. In a tall and narrow canyon, the water rises from the depth of 205 m. The spring is surrounded by woods and mountains, and many endemic plants and animals have their habitat there. Those visitors that decide to move for one day from Zadar to nature will find this phenomenon to be a pleasure to explore. In 1968 this nature sight was declared hydrological monument of Zadar area and today it has become a must-see place for all nature lovers.